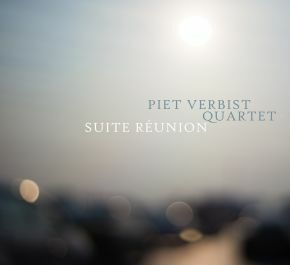 A presence on the European jazz scene for 25 years, Belgian bassist Piet Verbist is best known for his decade of touring with Universal Records' Jef Neve Trio, with the expansive list of artists he performs with yearly, or releases and tours by his own groups - the modern, electric Zygomatik and the collective, Mamutrio. Having many compositions that fell outside the needs of those groups, Verbist formed his acoustic quartet for exploring wider musical concepts with a lot of space for dynamic improvisation. "Suite Réunion" is also a celebration of old friends, as the acclaimed drummer Dré Pallemaerts and Verbist's musical collaborations go back to their early teens. Along with pianist Bram Weijters and saxophonist Bart Borremans, "Suite Réunion" is an intimate look into this special player's musical world.